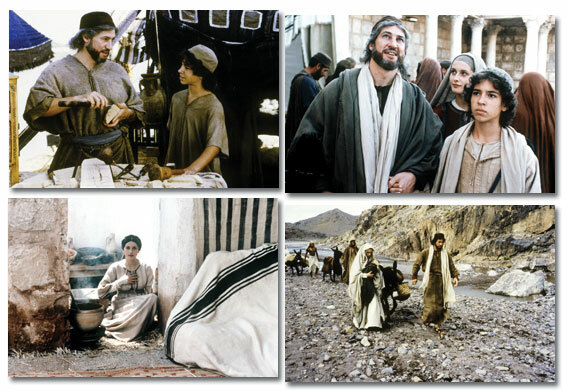 The first feature film ever on the story of St. Joseph - carpenter, husband of Mary and the human father of Jesus Christ. Scripture tells us that St. Joseph was a "just man", and that God gave him the most daunting task ever asked of a man - to be the husband of the woman who would give birth to the Messiah, and the father and protector of this Holy Family, the man closest to Christ. Starring Tobias Moretti in a manly, appealing performance, we are shown the human, noble and the deeply spiritual aspects of Joseph the carpenter, son of David, servant of God and loving husband of Mary. He is presented as a man of faith who has to grapple greatly with the profound mysteries of the divine conception, virgin birth and the Incarnation of the Son of God, and the incredible challenges of protecting and raising Jesus amidst the threats on his life from the moment of His birth and beyond. As Joseph is informed by God's messengers about trusting and following God's plan for the mysterious divine conception and humble birth of Christ, the dangerous flight into Egypt to save his child, and finally returning to Nazareth to raise Jesus, teach him carpentry and guide his family, this lovely film presents beautiful vignettes of these and other powerful scenes in the life of the young Christ and the Holy Family that are authentic and inspiring. Also stars Stefania Rivi as Mary, and Franco Interlenghi and Andrea Prodan. Filmed in English, includes Spanish subtitles. 16 page Collector's Booklet.